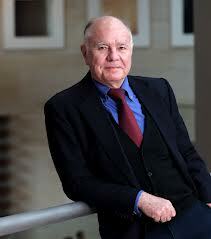 Marc Faber : I own equities, and I should thank Mr. Bernanke. The Fed has been flooding the system with money. The problem is the money doesn't flow into the system evenly. It doesn't increase economic activity and asset prices in concert. Instead, it creates dangerous excesses in countries and asset classes. Money-printing fueled the colossal stock-market bubble of 1999-2000, when the Nasdaq more than doubled, becoming disconnected from economic reality. It fueled the housing bubble, which burst in 2008, and the commodities bubble. Now money is flowing into the high-end asset market—things like stocks, bonds, art, wine, jewelry, and luxury real estate. The art-auction houses are seeing record sales. Property prices in the Hamptons rose 35% last year. Sandy Weill [the former head of Citigroup] bought a Manhattan condominium in 2007 for $43.7 million. He sold it last year for $88 million.